It was tragic to witness the Opposition including its leader attempting to inflame conflict between communities for petty political gain without thinking of the future of the country, Prime Minister D. M. Jayaratne told Parliament yesterday. He also said the prevention of Terrorism Act would never be used as a political tool. The Prime Minister made this observation in response to a special statement made by Opposition Leader Ranil Wickremesinghe in Parliament under Standing Order 23(2) questioning the arrest of Asath Salley under the Prevention of Terrorism Act. 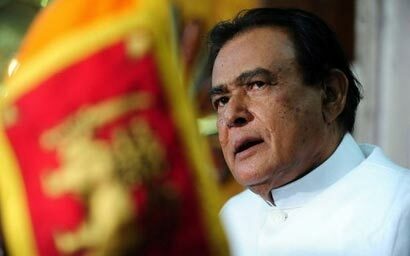 The Premier noted that Asath Salley had told an Indian publication that Muslims in Sri Lanka should take up arms. He was taken into custody under the Section 120 of the Criminal Procedure Code. The Prime Minister further stated that although Asath Salley was informed verbally and in writing to appear before the CID for questioning he absconded and was arrested at No. 25, Salamulla, Gamini Road, Kolonnawa on May 2. The Premier said that various Opposition members were attempting to link this arrest to the PTA to gain political mileage. He added that the Opposition Leader too was attempting to obtain similar political mileage from the incident. The Premier said it was clear that the Opposition was attempting to drive a wedge between Sri Lanka and Islamic countries. The Prime Minister also stated that various governments used various sections under the PTA in their battle against terrorism until this government successfully eradicated the terrorist menace in May 2009 . The Prime Minister further stated that the government has even taken its own party members into custody for alleged crimes without being biased. He also said that although terrorism was defeated militarily the spectre of terrorism still lurks in the international sphere. Still there are rehabilitated LTTE cadres on the loose. In this context it is laughable to see the Opposition Leader requesting the repeal of the Prevention of Terrorism Act. During his speech the Opposition Leader questioned as to why Asath Salley was arrested under the Prevention of Terrorism Act. He also questioned as to why the PTA was still being continued with even after the end to terrorism. Time will come to pay the price for all leaders, then no one can stops for all selfish leaders. Nikam rate janayata wihilu sapayanne nethuwa den wath gedara giyoth hondayii needa??? Apita duakayii thamunnanse wagee ledek apee rate Agamethi thanathure inna eka gena… Please go home and relax ….awaiting for final call….